India's ruling party sailed through a confidence vote in a theatrical parliamentary session which saw a startled Prime Minister Narendra Modi embraced by his chief political foe. 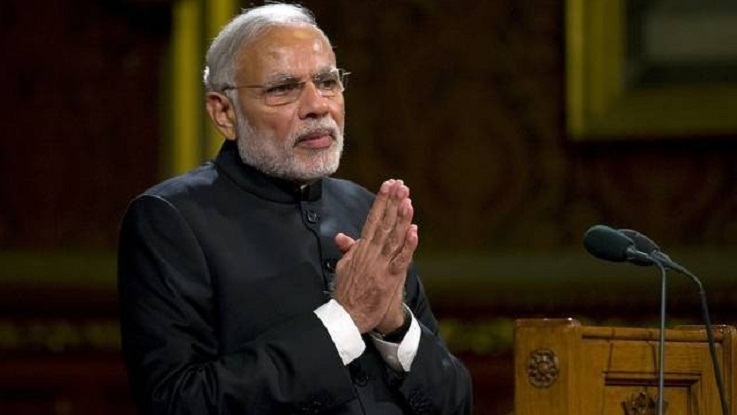 Modi's Bharatiya Janata Party (BJP) was in no danger of losing its first confidence motion since taking power four years ago, which was prompted by a minor party walking out of the governing coalition. After a marathon 12 hours of debate, more than 60 percent of the lower house voted in the BJP's favour, but the vote was overshadowed by the theatrics of bitter Modi rival Rahul Gandhi. The opposition Congress party leader crossed the chamber during debate to give an awkward embrace to a seated and clearly surprised Modi. "You can abuse me and call me names but I don't have any hatred towards you," Gandhi said to cheers from Congress lawmakers just before he hugged his rival. After gathering his wits, Modi called Gandhi again to shake hands and pat his back, and the opposition leader winked mischieviously at Congress colleagues after returning to his seat. Congress later voted against Modi's government despite the brief bonhomie on the parliament floor. The hug has since gone viral on social media and endlessly dissected non-stop on India's cable TV channels and went viral on social media, with some praising Gandhi's apparent gesture of goodwill. "Earlier opposition parties... always managed to transcend rivalry at certain crucial moments," said independent analyst Shiv Vishwanathan in comments to the Hindustan. "Today, Rahul Gandhi captured that history." But Modi was less convinced of Gandhi's sincerity, later telling parliament he was confused by Gandhi's "childish" behaviour. Modi and Gandhi's running war of words has escalated since polls showed a decline in the BJP's popularity, fanning hopes of an opposition comeback in next year's elections after a Congress rout in 2014.